The 42-year old woman, originally from Pakistan, married a man selected by her parents and came to the United States with a firm belief that her husband would respect her, value her opinion and encourage her ambitions. Those hopes remained a dream. The woman, who asked that her name not be used for her personal safety, said her husband brought her to the Midwest United States to cook, clean the home, raise his children and take care of his mother. “My story of sacrifice is not different than other South Asian Muslim women, who have been tied in various knots of fear, loss and stigma,” she said. A 1993 study by a Muslim scholar, Sharifa Alkhateeb, of domestic violence among Muslims reported that 10 percent of American Muslims, mostly women, experienced abuse in their homes. A handful of stories have been written about the problem, usually from the perspective of women on the U.S. east and west coasts. But the problem exists in the Midwest, too, in states like Iowa and Illinois. Advocates of those at the receiving end of the abuse say some of the women are remaining at home instead of seeking help. They fear a stigma being attached to them, said Lata D’Mello, assistant director of Monsoon United Asian Women of Iowa, a group that formed in 2003 to offer direct services to women from south Asia and Africa who endure domestic abuse. The woman interviewed about being subjected to domestic abuse was so fearful for her personal safety that the city in which she lives also is not revealed in this story. Living more than 18 years with her husband, the first generation Muslim American woman sees herself trapped in a situation she cannot escape because of cultural and social pressures. Imam Taha Tawil, of the Mother Mosque in Cedar Rapids, Iowa, said women should not feel subjected to men. Domestic violence against women is not encouraged, nor is it allowed in any circumstance by the Holy Qur’an, the imam said. Verses make it clear that the relationship between men and women is to be one of kindness, mutual respect and caring, he said. Some verses in which Allah says men and women are protecting friends of one another refer to the mandated atmosphere of mutual kindness and mercy in the marital home. Others show disapproval of oppression or ill treatment of women. Dr. Julie Macfarlane, an Institute for Social Policy and Understanding fellow from the University of Windsor, reported in a study, “Understanding Trends in American Muslim Divorce and Marriage: A Discussion Guide for Families and Communities,” that imams are highly influential in setting norms and expectations for Muslim family life. The institute, with offices in the Detroit area and Washington, D.C., is a think tank and research organization that studies issues affecting Muslims in the United States and the world. Tawil said he works with a Cedar Rapids domestic violence shelter to help women who tell him they feel abused. He said instances are low in numbers, but exist, putting him in the position of counseling those who come to him. “We cannot hide things. We cannot just give advice: ‘Oh, be patient. It’s OK.’ No, no,” he said. Still, some women feel locked into their relationships. “I have sacrificed to live with my abusive husband for the sake of my daughter,” one Midwest U.S. Muslim mother of a 10-year-old daughter, said. Her name is not used in this story for her personal security. Originally from Pakistan, this woman came to the United States after marriage. Her husband runs a south Asian grocery store while she stays at home and does household errands. “My husband has a short temper and becomes violent on petty issues, and abuses me in front of my daughter,” she said. People working with non-profit organizations to reduce domestic violence in Muslim communities said only a handful of studies have been done on the topic, making it difficult to determine how prevalent the violence is in south Asian Muslim communities in the United States. Another difficulty determining the prevalence is found when interviewing people in shelters or in general: Muslim communities are not open to talking about such issues because of that stigma and shame. An estimated 60,000 Muslims live in Iowa, although a good estimate is hard to find. In 2008, the Council of American Islamic Relations chapter in Iowa did an informal count by contacting the 12 mosques across the state. The findings varied widely depending upon who was contacted, ranging from 40,000 to 80,000 Muslims — or the median of 60,000 — who are Bosnians and Kosovars, Somali and Sudanese, Iraqis, Lebanese, Indo-Pak, Egyptians, West Africans, Syrians and others. The U.S. Census Bureau does not keep religious statistics for Iowa. The Peaceful Families Project, a national organization that works toward ending all types of abuse in Muslim families, estimated that 85 percent of domestic violence victims in the United States are women. It has collected information about attitudes among Muslims living in the United States, based on their ethnic background. 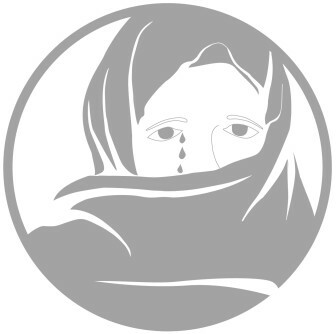 For example, more than 30 percent of 121 Afghan women and men in a 2007 study told researchers they increasingly were concerned about family violence, the Peaceful Families Project reports. Twenty-two percent in a 2004 study of 631 Egyptian women had experienced intimate partner violence. A 2007 study of 1,800 pregnant Iranian women found that 60.6 percent had experienced multiple forms of domestic violence, including psychological, physical and sexual violence, the Peaceful Families Project reports. Support groups for Iowa Muslims who endure domestic abuse are hard to find, but they exist. D’Mello, the assistant director at Monsoon United Asian Women of Iowa, came to the United States from Mumbai, India, in 1996 to attend the women’s studies’ graduate program at the University of Northern Iowa. In 2003, she joined Monsoon as a volunteer and later became a multilingual advocate and outreach coordinator. Workers at Monsoon United Asian Women of Iowa, which has offices in Iowa City and Des Moines, help those experiencing domestic violence with house or getting a job, Or, if they want to stay at home, a safety plan, D’Mello, said. “A lot of survivors want to stay with their partners, their spouses,” D’Mello said. “They believe they have a home, that things will improve. They have other reasons to stay on, maybe financially, maybe emotionally. One first generation Muslim American woman who was interviewed for this story lives in a shelter run by a non-profit organization Chicago. With tears running from her eyes she told about coming to the United States with a dream of living happily with her husband. That dream turned into a nightmare within a few years. She talked to her family for help but was told to compromise, she said. She said she comes from a male-dominated society in which women have been taught to be submissive and obedient toward their husbands. A friend told her about a shelter in Chicago. “I came to this shelter, and took a sigh of relief,” she said. She said she never will go back to her husband. First is a series of reports. Watch the next segment: Inside a Chicago shelter for domestic abuse victims. Related Reading: Domestic Violence in the South Asian Muslim Immigrant Population in the United States. Ruksana Ayyub, Journal of Social Distress and the Homeless, Vol. 9, No. 3, 2000. “Faces of Silence” focuses on Muslim American women of South Asian descent in Midwest United States who have been affected by domestic violence. The project highlights the manifestations of domestic violence in this group, how Muslims in the Midwest are dealing with domestic violence, the best practices for intervention in this community and their challenges. This project was the master’s thesis for Lamia Zia at the University of Iowa School of Journalism and Mass Communication in fall 2012. Zia interviewed during that fall domestic abuse survivors living in a Chicago shelter, experts, local women and imams for this report. Her thesis has been edited for presentation at IowaWatch.org. Video report for “Faces of Silence” project: An IowaWatch journalist tells about her rare inside look at a Chicago domestic violence shelter for perspective on the recovery process for women subjected to domestic abuse.